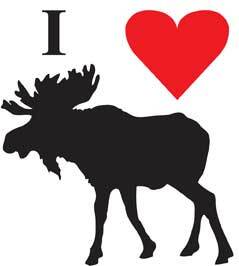 3.75 inch x 3.75 inch I Love Moose Bumper Sticker Domestic (US) shipping is included in the price of this item. 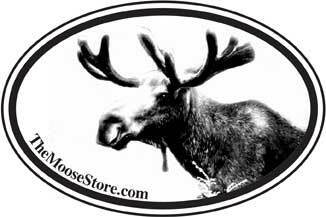 3 inch by 4.5 inch The Moose Store Euro style decal. 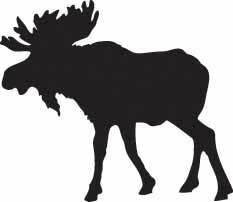 We send one out with each order for free! 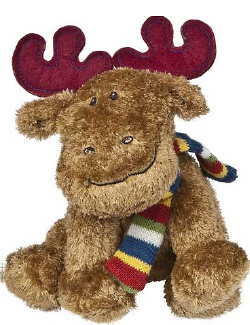 Price includes Domestic (US) Shipping. 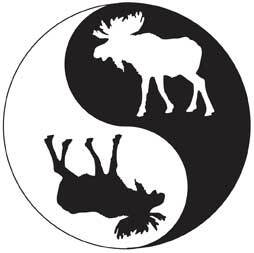 3.75 inch x 3.75 inch Yin Yang Moose Bumper Sticker Domestic (US) Shipping is included in the price of this item. 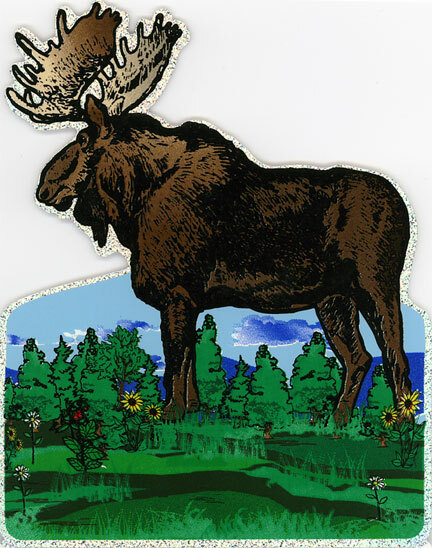 This great glitter back decal measures 4.5"x6"